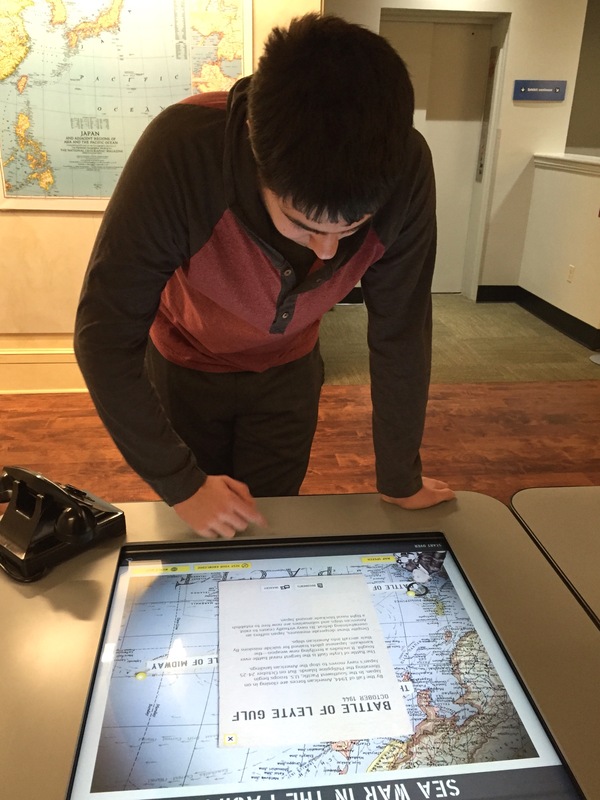 This past Tuesday we made an overnight trip to Hdye Park, New York to visit the home and Presidential Library of Franklin D. Roosevelt. The National Park Service did a wonderful interpretation and the museum, library, home and grounds are just beautiful. One of the highlights in the museum is Franklin’s car complete with hand controls and a cigarette dispenser the would dispense lighted cigarettes. 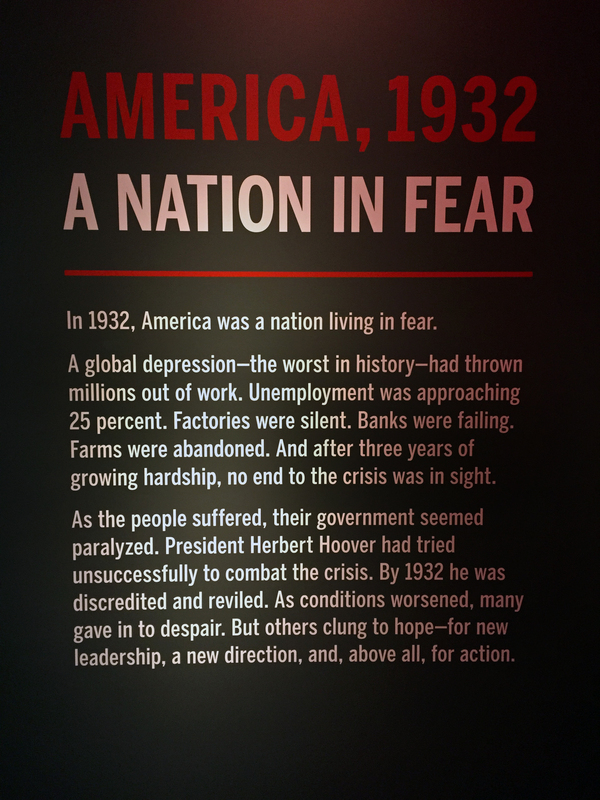 The Depression Era depiction was utterly amazing and sad as well. 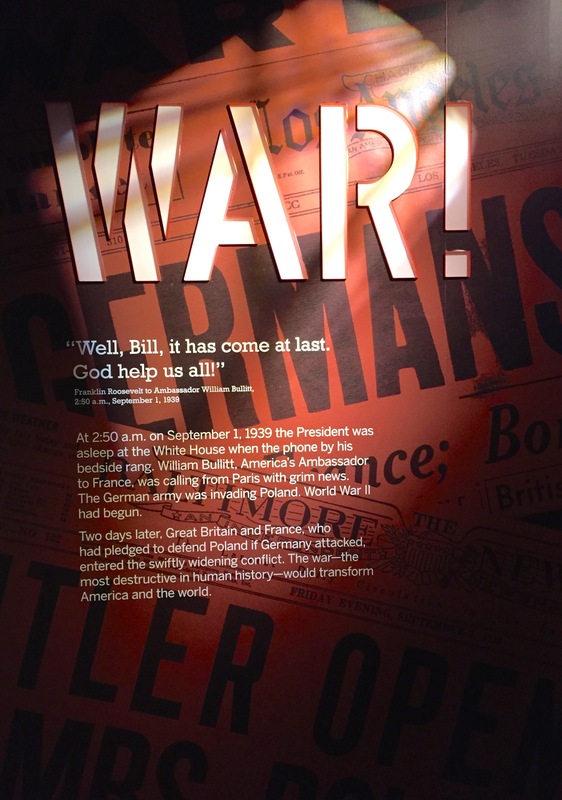 I personally am fascinated by World War Two history. 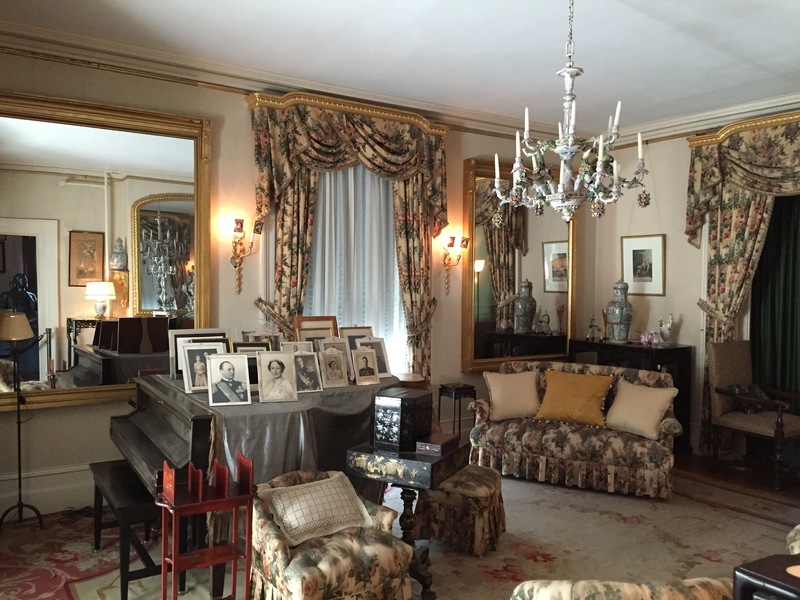 We also wanted to visit Val-Kill the home of Eleanor Roosevelt but sadly it was closed the days we were there. 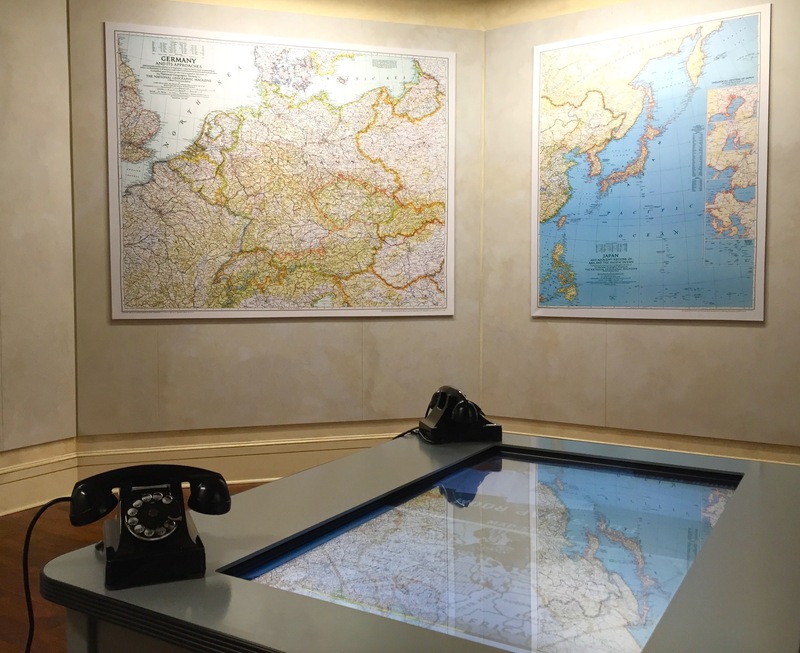 If history is something that interests you I highly recommend a visit. 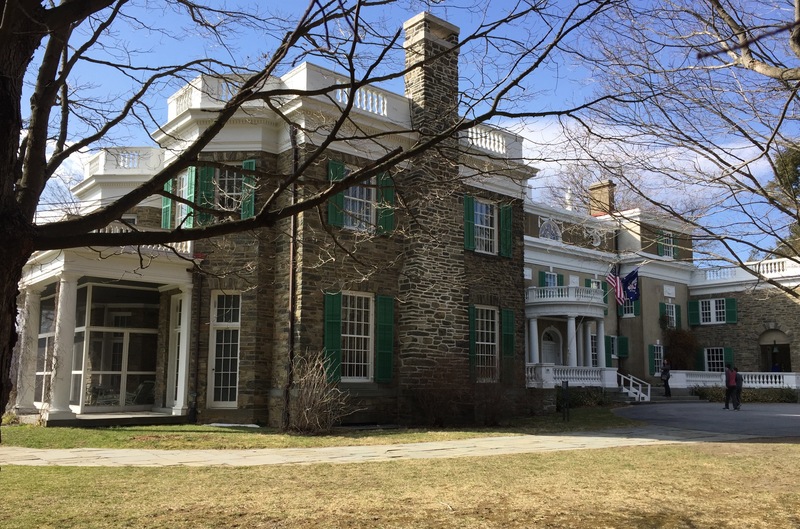 FDR’s home in Hyde Park, New York. 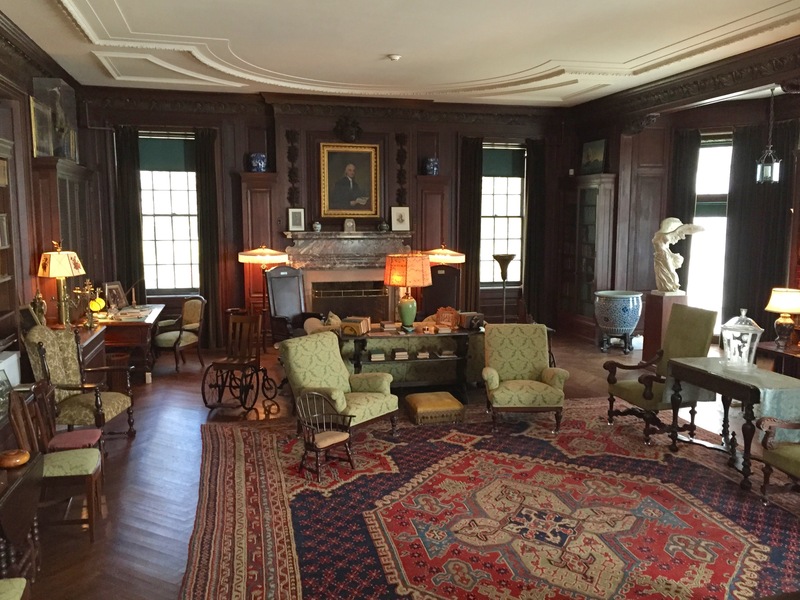 The library room in FDR’s home. 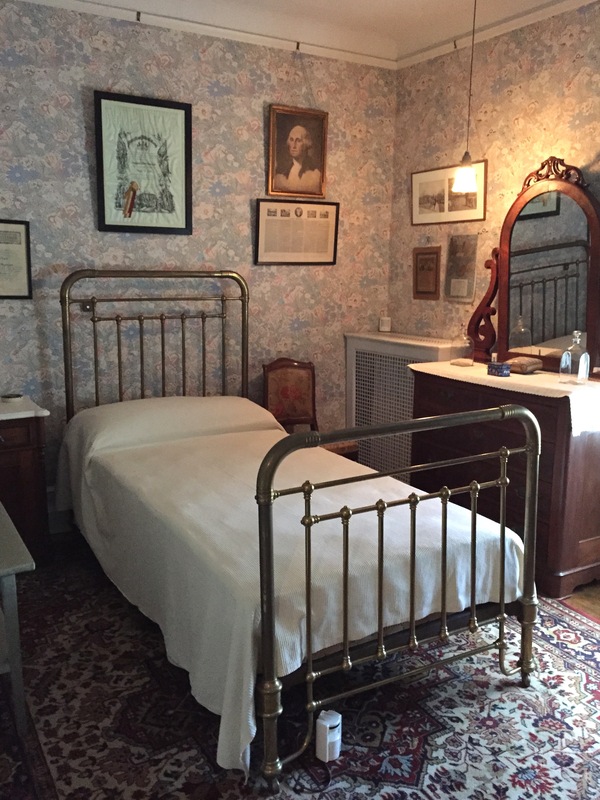 “Birthing Room” where Franklin was born. 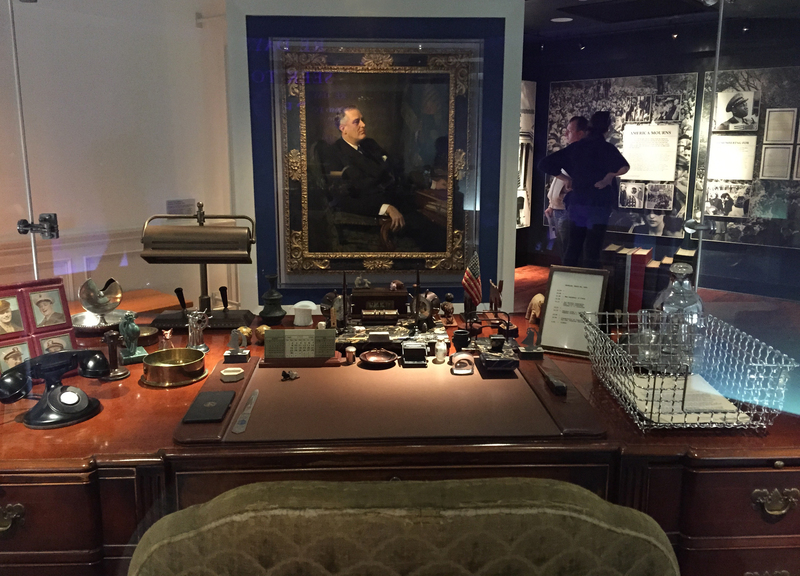 In the Presidential Library sits Franklin’s desk from the Oval Office. 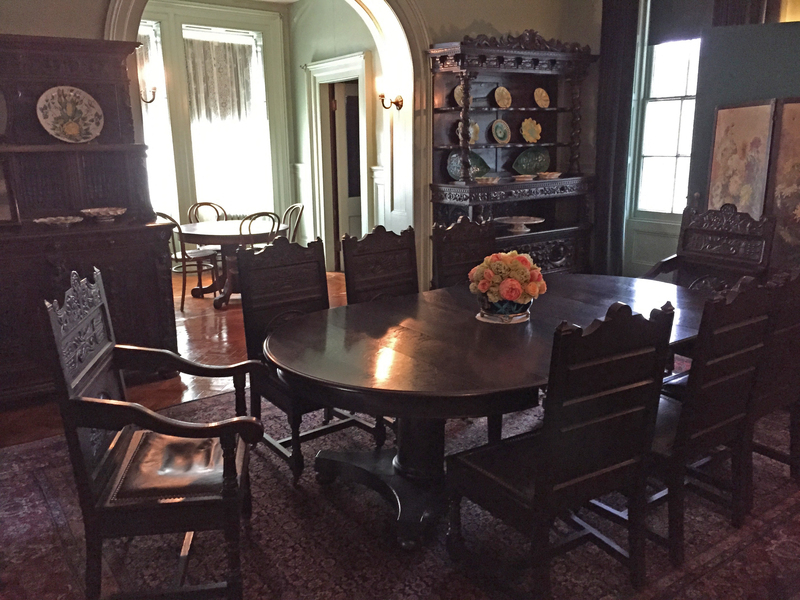 The desk was Herbert Hoover’s and Franklin never changed the furnishings once taking office. 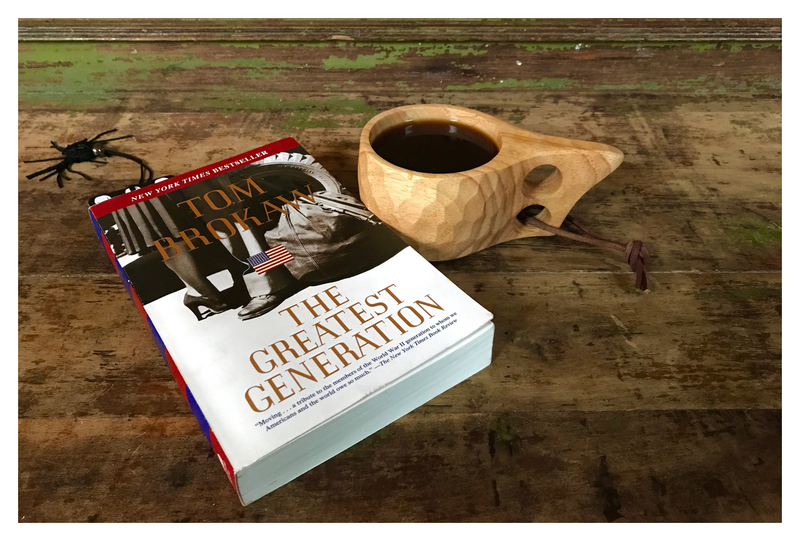 However the trinkets on the desk are Franklin’s and exactly the originals. 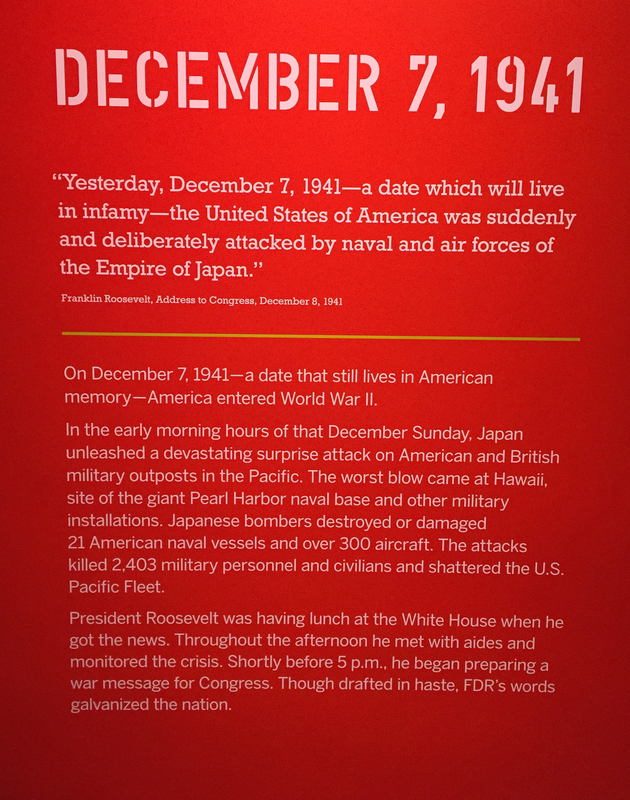 “A Day that will live in infamy” Franklin’s original speech said “World History” which he crossed out and wrote in “Infamy”. 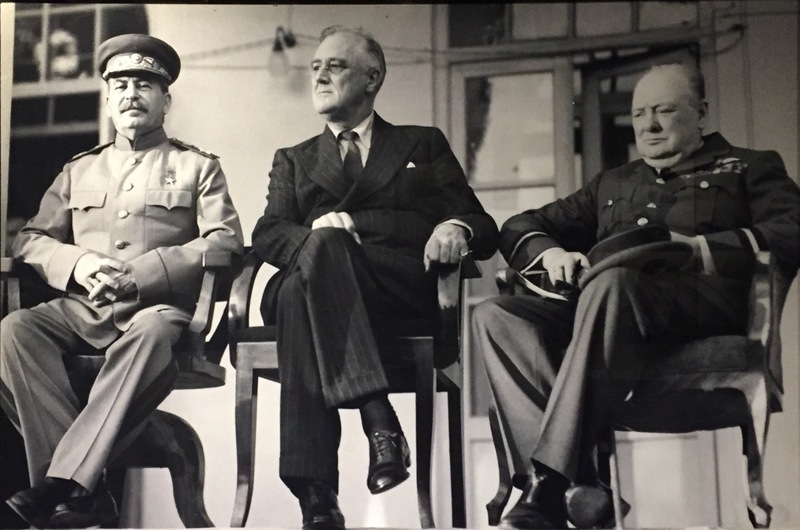 “The Tehran Conference” On this day in 1943, President Franklin Delano Roosevelt joins British Prime Minister Winston Churchill and Soviet leader Joseph Stalin at a conference in Iran to discuss strategies for winning World War II and potential terms for a peace settlement. 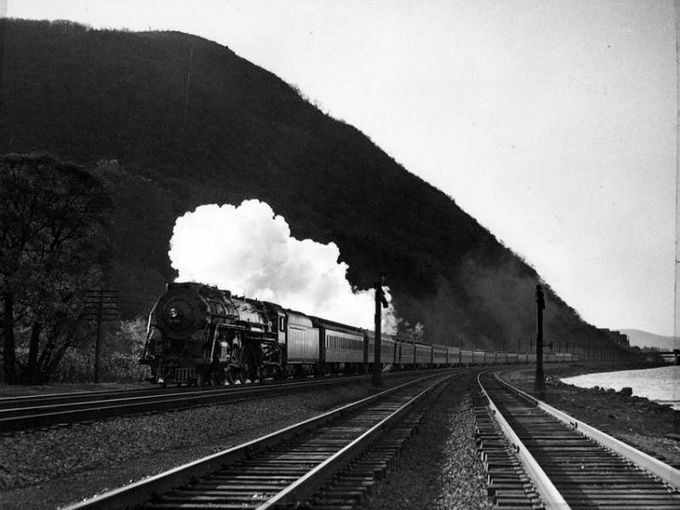 Franklin D. Roosevelt “Funeral Train” along the Hudson River. The funeral train slowly brought Roosevelt’s body from Warm Springs to Washington. 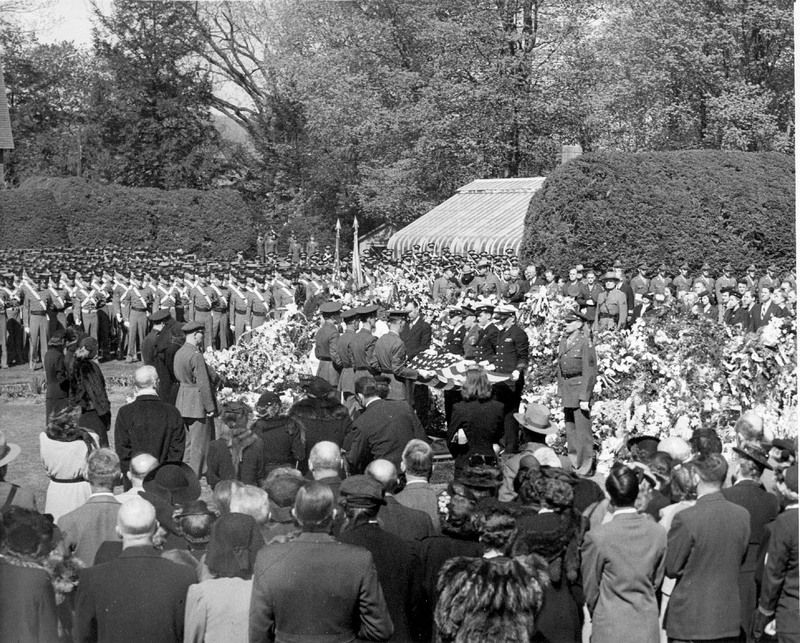 Although copper was rationed as part of the war effort, a copper-lined coffin was built for his interment. After the funeral ceremonies his body was again placed on the train for a last ride to his home in Hyde Park, New York. Vintage Santa Fe Railway map postcard. This weeks “Postcard of the Week” is a vintage linen Santa Fe Railway “Map” postcard which was mailed on September 8th 1944 in Gallup, New Mexico. It appears that “Bob” is in the United States Navy and there was no charge for postage. Here are some Wikipedia facts from September 1944.
: The uprising in Warsaw continues; Red Army forces are available for relief and reinforcement, but are apparently unable to move without Stalin’s order. 6: The “blackout” is diminished to a “dim-out” as threat of invasion and further bombing seems an unlikely possibility. 12: The Second Quebec Conference (codenamed “Octagon”) begins: Roosevelt and Churchill discuss military cooperation in the Pacific and the future of Germany. 13: American troops reach the Siegfried Line, the west wall of Germany’s defence system. : British and commonwealth forces enter neutral San Marino and engage German forces in a small-scale conflictwhich ends Sept. 20. 25: British troops pull out of Arnhem with the failure of Operation Market Garden. 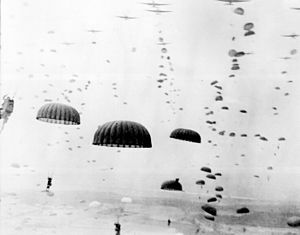 Over 6,000 paratroopers are captured. Hopes of an early end to the war are abandoned.